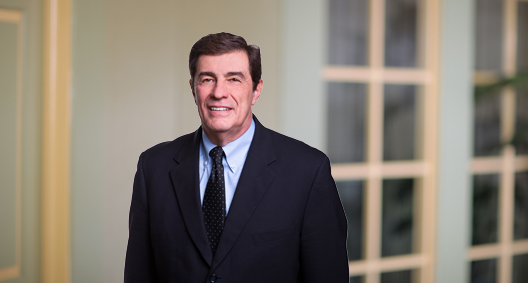 Jack Fornaciari's experience includes the trial of complex commercial cases, antitrust litigation and white collar defense. Matters have included trials from New York to California involving antitrust claims, RICO claims, fraud, freeze-out mergers, breach of duty, conspiracy, mail fraud and wire fraud. Jack has extensive experience representing clients in cartel cases in the U.S. and the European Union. A significant component of Jack's practice involves obtaining merger clearance before the Antitrust Division of the Department of Justice, the Federal Trade Commission and other regulatory agencies. Representing clients in the transportation industry in two pending cartel investigations. Has represented clients in the construction materials and banking industries in class action antitrust and securities litigation. Represents firms conducting international operations in related governmental investigations and litigation across borders. Designed and implemented antitrust and Foreign Corrupt Practices Act (FCPA) compliance programs and compliance training programs for companies in the U.S. and abroad. Represents public accounting firms in matters regarding audits and consulting engagements in private litigation and regulatory proceedings. Represents a Japanese cargo airline in a cartel investigation and a related private multidistrict antitrust litigation. Represents a Japanese freight forwarder in a cartel investigation and related private antitrust class action suits. Represents a major international building materials supply company in a private antitrust class action. Represented a defendant client in a seven-month trial of criminal charges against a banking firm and individuals involving mail and wire fraud, conspiracy and anti-racketeering law charges in the U.S. District Court for the District of Maryland. Represented a defendant client in a three-month trial of federal criminal charges of mail and wire fraud and conspiracy in the U.S. District Court for the District of Maryland. Represented a client firm in a freeze-out merger trial in Delaware Chancery Court. Represented a financial institution in various commercial breach of guaranty trials in San Diego Superior Court. Represented shipowners in a trial of Jones Act claims in the U.S. District Court for the Southern District of New York. Represented a plaintiff Russian company in a fraud trial in the U.S. District Court for the Southern District of New York. Represented a plaintiff developer in a Clean Water Act suit against a contractor in an injunctive proceeding in the U.S. District Court for the District of Connecticut. Represented a developer in a bribery investigation in Connecticut. Has represented public accounting firms in malpractice cases with regard to audits of private and public companies. Represented plaintiff clients in a federal securities trial in the U.S. District Court for the District of Rhode Island. Has represented boards of directors of financial institutions regarding investigations into various bank regulatory issues. Has represented numerous firms and individuals in federal grand jury investigations of possible violations of antitrust laws, banking laws and the FCPA. Has designed and implemented for U.S. firms compliance programs for international firms located in Ireland and Japan.